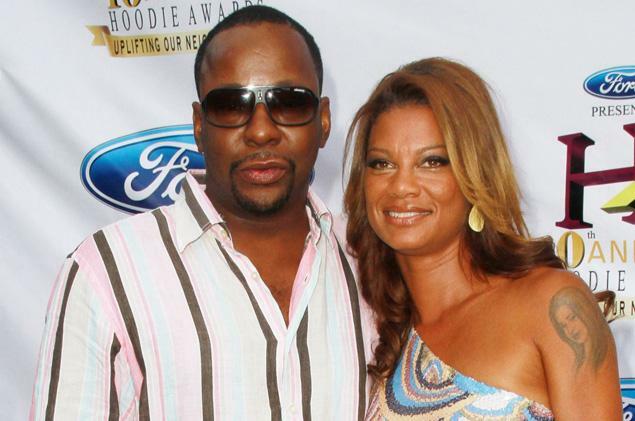 Musician Bobby Brown was faced with more heartache after he lay 22-year-old Bobbi Kristina to rest yesterday, with his wife, Alicia Etheredge, being rushed to hospital after suffering a seizure. According to TMZ reports, mere hours after saying goodbye to his daughter at her funeral, Bobby’s wife, who had given birth to their daughter Bodhi, earlier this month, had to be taken to hospital via ambulance as paramedics rushed to help her. Thankfully, Alicia was able to make a recovery and Bobby is expected to attend Bobbi Kristina’s burial in New Jersey tomorrow. The young starlet’s funeral was held at the St James United Methodist Church, which is where she often used to go to pray with her late mother, Whitney Houston, and it has been said that Whitney’s picture was present at the altar. Mourners were left in floods of tears as a choir sung ‘Stand’ by Donnie McClerkin, the same song that was played at Bobbi’s mother’s funeral three years ago. However, the peaceful service was brought to a halt after Bobbi’s aunt, Leolah Brown, was asked to leave the church following an outburst while another aunt, Pat Houston, was making a tribute. Speaking to reporters outside of the church, Leolah ranted: “Whitney is going to haunt Pat Houston from the grave”, before going on to say that Bobbi, who was in a silver open casket, looked “beautiful”. Bobbi passed away last Saturday after being found unconscious in a bath tub back in January. The tragic aspiring singer was in a medically induced coma for six months.